Omaha Community Playhouse's 21 & Over program presents Freakshow. Imagine a life trapped, caged, on display for a gawking public. In the gritty world of a traveling circus, a Pinhead, a Dog-Faced Girl, a Human Salamander and a Woman with No Arms or Legs struggle for a sense of normalcy in the outcast life of a freak. The monstrously grotesque and the poetically sublime clash as this family of misfits threatens to fall apart. But will the end come easily? Are there really any other options for a Freak? As Les Miserables has become more and more of a pop culture reference (especially since the release of the movie last year), many of us have feigned knowledge over the complicated storyline. And let's be honest, it's too late now to ask your friends. 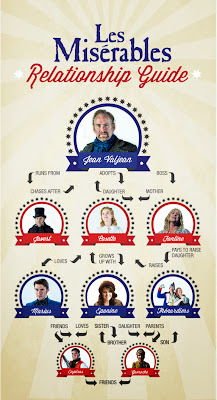 So here's a little helpful tidbit: an infographic and descriptions on each main character. 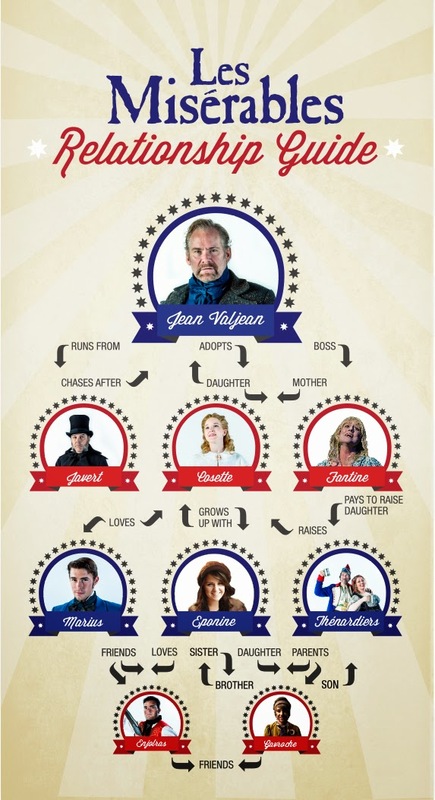 Next time you find yourself in a conversation about the depth of Javert's guilt, you might have some input! That's classy. Convicted for stealing a loaf of bread to feed his sister's children and sent to prison, Valjean is paroled 19 years later. Rejected by society for being a former convict, he encounters Bishop Myriel, who turns his life around by showing him mercy and encouraging him to become a new man. He assumes a new identity (Monsieur Madeleine) in order to pursue an honest life, where he becomes rich and a mayor. He promises Fantine (who worked in his factory) as she is dying that he will take care of her child, Cosette. Valjean confronts Javert after turning himself in to the police to save another man from life-long prison and rescues Cosette from the Thénardiers. Discovered by Javert in Paris, he evades capture once again. Valjean saves Marius from probable death at the barricade, reveals his true identity to Marius and Cosette after their wedding, and is reunited with them just before his death. Having kept his promise to the bishop (to live an honest life) and to Fantine (to take care of her child), Valjean dies in peace. A fanatic police inspector in pursuit to recapture Valjean. He first sees Valjean when working as an overseer for the chain gang. Later, he joins the police force in the small town where Valjean is living his new identity. At one point, he recognizes Valjean’s great strength and suspects he has found the lost convict. However, Javert is told that Jean Valjean has been arrested. But when the real Valjean turns himself in, Javert pursues the hunt again. He is promoted to the Paris Police and, while working undercover behind the barricade, his identity is discovered. Valjean pretends to execute Javert but releases him. When Javert next encounters Valjean emerging from the sewers, he lets him go instead of arresting him. Javert cannot reconcile his devotion to the law with his recognition that this lawful course is immoral. He takes his own life by jumping into the river Seine. Fantine’s daughter. As a child, she is beaten and forced to work as a drudge for the Thénardiers. After her mother Fantine dies, Valjean ransoms Cosette from the Thénardiers and cares for her as if she were his daughter. She grows up to become very beautiful and falls in love with Marius Pontmercy. At their wedding at the end of the musical, she finds out for the first time about her “father’s” history and rushes to his side before his death. Abandoned with a small child by her lover, Fantine leaves her daughter Cosette in the care of innkeepers, the Thénardiers. Fantine finds work at Monsieur Madeleine's factory, but she is discovered as an unwed mother and is dismissed. To meet the Thénardiers' repeated demands for money, she sells her hair and two front teeth, and turns to prostitution, where she becomes ill. Valjean learns of her plight when Javert arrests her for attacking a man who called her insulting names, and sends her to a hospital. She dies after Valjean says he will take care of her daughter. A young law student loosely associated with the Friends of the ABC. He shares the political principles of his father and has a stormy relationship with his royalist grandfather, Monsieur Gillenormand. He falls in love with Cosette and fights on the barricades when he believes Valjean has taken her to London. After he and Cosette marry, he recognizes Thénardier as a swindler and realizes that Valjean was the one that saved him from the barricade and brought him home. The Thénardiers' daughter. As a child, she is pampered and spoiled by her parents, but ends up a street urchin when she reaches adolescence. She is blindly in love with Marius. At Marius' request, she finds Valjean and Cosette's house for him and sadly leads him there. After disguising herself as a boy, she goes to the barricades to join Marius. She is mortally wounded as she reaches out her hand to stop a soldier from shooting at him. As she is dying, she confesses her love to Marius, and gives him a letter from Cosette. Husband and wife and parents of Eponine and Gavroche. The innkeepers abuse Cosette as a child and extract payment from Fantine for her support until Valjean takes Cosette away. They become bankrupt and relocate to a house in Paris. The husband associates with a criminal group and conspires to rob Valjean until he is thwarted by Marius. At the barricade, the two steal from the dead soldiers and students. The husband attempts to blackmail Marius with his knowledge of Valjean's past, but Marius pays him to leave. The leader of Les Amis de l'ABC (Friends of the ABC) in the Paris uprising. Passionately committed to republican principles and the idea of progress. He is executed by the National Guards after the barricade falls. The eldest son of the Thénardiers. He lives on his own as a street urchin and sleeps outside the Bastille. He takes part in the barricades with the students and Friends of the ABC and is killed while collecting bullets from dead National Guardsmen. 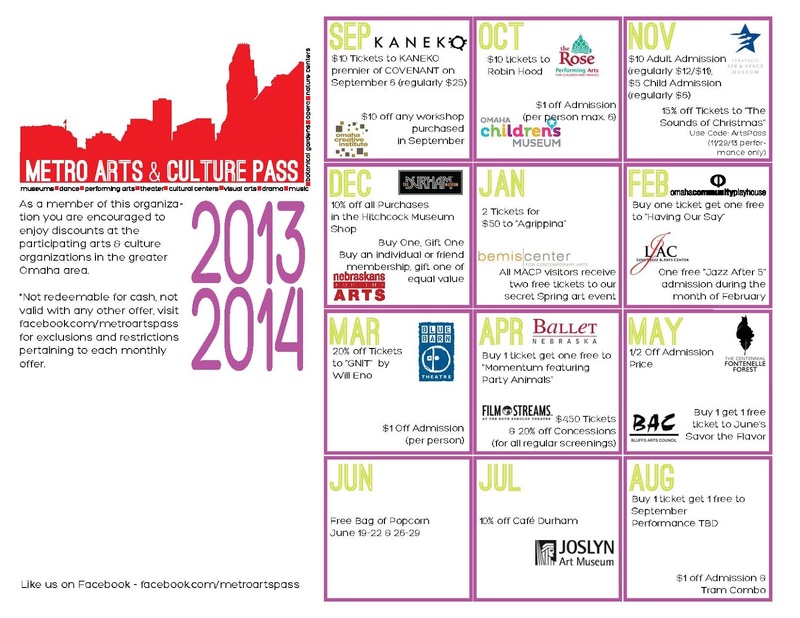 Enjoy the arts with a Metro Arts and Culture Pass! If you are a season subscriber to the Omaha Community Playhouse, in the month of October, you can receive $10 tickets to Robin Hood at The Rose Theater and $1 off admission (per person max. 6) to the Omaha Children's Museum. Fantine is often seen as one the saddest characters, taking the most brutal beating right at the beginning. But then, by the end of the musical, she becomes a light of hope for Valjean. The symbol of hope and accomplished happiness that she becomes is definitely reflected in the faithfulness of the actress playing her: Julie Crowell. Julie began acting in elementary school in small productions but was first interested in performing this role in 1994, when she began attending Pacific Lutheran University on a music scholarship. A graduate of Gig Harbor High School in Washington, her family still lives in Gig Harbor, Tacoma and Puyallup (all in Washington) including her “AWESOME” brother and two wonderful nephews. Julie has worked for Widman Motors in Omaha for the last nine years, but really enjoys her free time spent reading the bible and other books, taking walks around her neighborhood in Dundee and Memorial Park, working out at Blue Moon Fitness and attending small group meetings as well as singing at Glad Tidings Church. No stranger to the Omaha Community Playhouse, Julie’s favorite show to perform was My Fair Lady where she had the amazing privilege to play Eliza Doolittle, a role for which she won a Fonda-McGuire Award (OCP's highest award). Julie is truly a talented and humble woman and will be fantastic in such an iconic role of one of the world’s greatest musicals. You can see Julie Crowell in her role as Fantine at the Omaha Community Playhouse’s Les Misérables, running Sept. 20-Oct. 27, 2013; Wednesday-Saturday at 7:30 p.m. and Sunday at 2:00 p.m. Tickets are $40 for adults and $24 for students. To purchase tickets, or for more information, call (402) 553-0800 or click here. Peter graduated from the University of Minnesota-Morris with a B.A. in Mathematics as well as a B.A. in Theatre Arts. 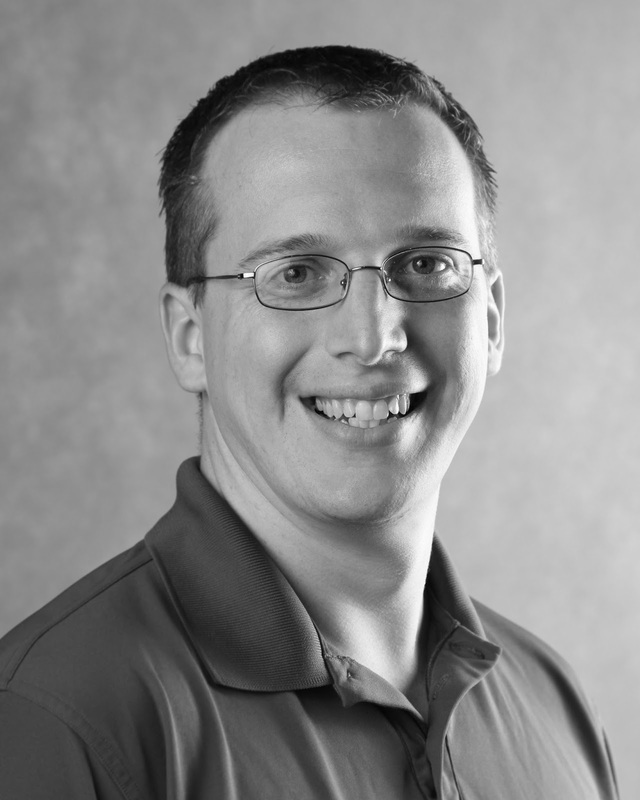 He then went on to grad school at the American Military University, graduating with an M.S. in Space Studies with a concentration in Planetary Science. Peter is happily married to his wonderful wife, Jennifer, with one daughter, Lydia. He says he likes to catch up on video game playing when he has the chance, but enjoys spending any free time possible with Lydia. When asked why he wanted to audition, Peter said he mainly just wanted to audition for a show to get back into community theatre and be on a stage. His sense of balance, accomplishment and commitment is what led him to OCP and will make his performance one to remember. You can see Peter Barrett in his role as Claquesous at the Omaha Community Playhouse’s Les Misérables, running Sept. 20-Oct. 27, 2013; Wednesday-Saturday at 7:30 p.m. and Sunday at 2:00 p.m. Tickets are $40 for adults and $24 for students. To purchase tickets, or for more information, call (402) 553-0800 or click here. The Omaha Community Playhouse is known for drawing in talented people in the local area. Julie Enersen, however, is not so local. Living in Lincoln, Julie wanted to be in the show so much that she commutes to all the rehearsals, oftentimes eating her meals in the car. “I wear a big t-shirt as a "bib" and use a large spoon for ease in eating. I pretty much feel like a toddler driving down the road!” The distance doesn’t stop her from being in the ensemble of such a great show. Julie first became interested in musicals back in junior high, if not initially for the singing. “At that time, I quickly realized that if I did shows, cute boys would be forced to hold my hand and sing to me,” she said. “I was hooked!” Singing became a much bigger part of her life over the years, which lead her to earn a Music Education degree from the University of Nebraska-Lincoln. She taught vocal music at a local middle school and eventually directed the Scarlet and Cream Singers at UNL. 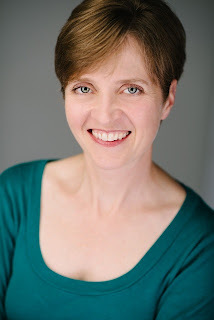 Since 2005, she has been the Worship Arts Director at the Unitarian Church of Lincoln. Through all of that, she continued to do musicals at various local theaters. She even met her husband, Steve, at the Lincoln Community Playhouse, and their two kids, Alex and Meredith, are involved in productions there. This year, they are hosting a German foreign exchange student, Narin, and even she has already spent some time volunteering at LCP. Julie became interested in the OCP through her friend and OCP veteran Jim McKain. “I was always impressed with the building, the production values and the reports from Jim about the professionalism of the organization.” She knew she wanted to be in a show there one day, but also knew it would be tricky to find the time. This fall, everything fell together perfectly: Julie decided to take a sabbatical, she already had the music memorized from a LCP performance of the show earlier this year and she was inspired by the fact that Susie and Carl would be co-directing this show prior to their retirements. She and her family knew the time was right! Even though she was #13 out of 360 who auditioned and did not have much hope for being cast after seeing all the talent at the callback, Julie was thrilled when she got the call from Susie offering her a role in the ensemble. Though that meant a lot of travel back and forth from Lincoln to Omaha, Julie said there were quite a few things to do in Omaha that were on her bucket list anyway. “But honestly, the main reason the commute is fairly easy is because I really enjoy the rehearsals and my fellow castmates. I'm happy to get in my car and head there every night.” This enthusiasm, optimism and dedication are just a few of the things that make Julie a wonderful cast member and performer. 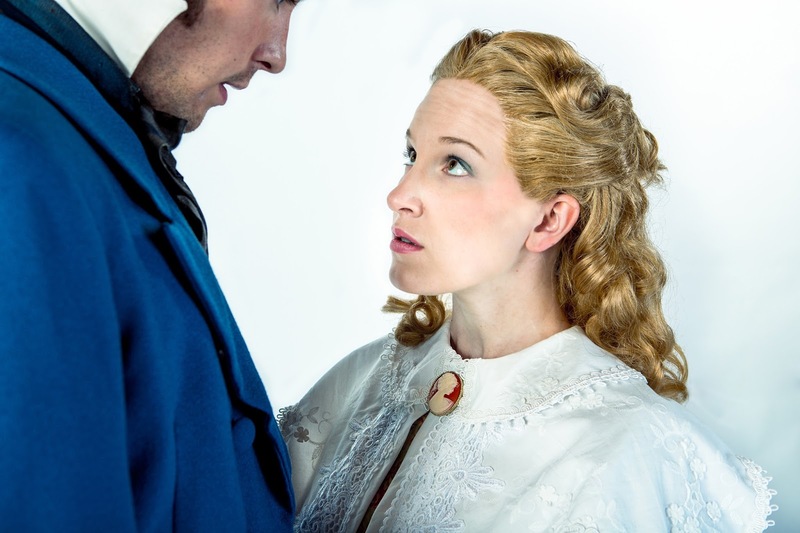 You can see Julie Enersen in her role in the Ensemble at the Omaha Community Playhouse’s Les Misérables, running Sept. 20-Oct. 27, 2013; Wednesday-Saturday at 7:30 p.m. and Sunday at 2:00 p.m. Tickets are $40 for adults and $24 for students. To purchase tickets, or for more information, call (402) 553-0800 or click here. One act of kindness opens a man’s heart. Victor Hugo’s story rests on this simple concept: keeping an open heart. Hearts are astonishing, aren’t they? We’ve all suffered heartbreak in our lives; be it from betrayal or tragedy, we’ve felt anguish and pain. Through the carelessness and callousness of others we get hurt over and over again, trusting new people a little bit less each time, becoming wary, protecting ourselves from what may come. But we press on. We are a defensive species. Look at how most people idly stand: arms crossed over the chest, guarding their hearts. If we aren’t careful our hearts can blacken from being burned, wither from disuse, become as hardened and unfeeling as steel. If we allow people in, despite the hardships we face, something beautiful can happen. We can heal, and we become better than we were. Undoubtedly we all have trying times in the days ahead, moments of grief and awful uncertainty, but as the song goes “Even the darkest night will end and the sun will rise.” A heart can break, can shatter like glass, and yet pieced together it will shine; a unique new pattern, a new reflection, a new life will form itself from the debris of the past. Les Misérables shows us this truth, that even though the world is unfeeling and the populace often unsympathetic, all it takes is an open heart and no matter what is thrown our way, we can rise above it. However, I slowly let it all in, and I am so glad I did. New faces have become familiar, though the music remains powerful, as it likely will forever. Mirroring Jean Valjean’s experiences, little by little we find ourselves further along in our journey than we knew. But no matter how long the rehearsals may run, or how tired we all are, I see nothing but open hearts. Hearts that shine. In less than one month Les Misérables will open, and I hope this show is as wonderful an experience for you as it has been for me. An Omaha native and Westside High School graduate, Jennifer embraced her love of music and the theatre at a young age. Her first-ever show was at the age of eight, playing a role in Pippi Longstocking at the old Emmy Gifford Theatre. By the very next year, Jennifer was already seen as a star when she was cast as Annie in Annie at the same theater. 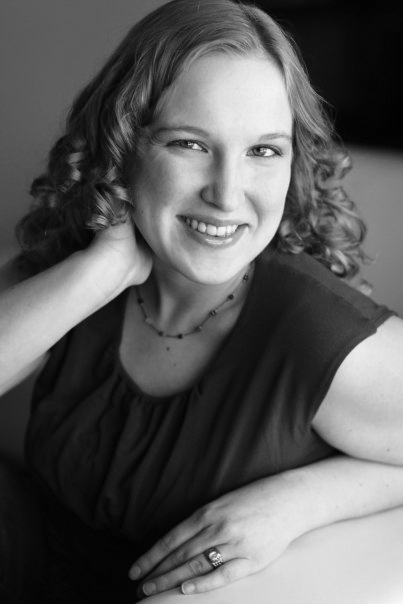 A Creighton graduate, Jennifer earned her Masters in Music at the University of Wisconsin Milwaukee. She currently works for Professional Insurance Agents part-time and runs a private voice and piano studio. In addition, Jennifer utilizes her degree and love of music by being the artistic director for a local music group, Résonance. Acting over the years, Jennifer’s favorite roles have been Mary Lane in Reefer Madness and Luisa in The Fantasticks, where she won a Theatre Arts Guild Award for her performance. She will reprise this role on Nebraska Theatre Caravan's professional tour of The Fantasticks in 2014. Outside of all her music-related activities, Jennifer simply loves to watch movies with her husband and play with her dog, Charlie. You can see Jennifer Tritz in her role as Cosette at the Omaha Community Playhouse’s Les Misérables, running Sept. 20-Oct. 27, 2013; Wednesday-Saturday at 7:30 p.m. and Sunday at 2:00 p.m. Tickets are $40 for adults and $24 for students. To purchase tickets, or for more information, call (402) 553-0800 or click here. Just can't get enough Les Mis? Join fellow Les Misophiles for a dinner talk series this fall hosted by The Market Basket. The three-part series will feature everything Les Misérables and Victor Hugo. 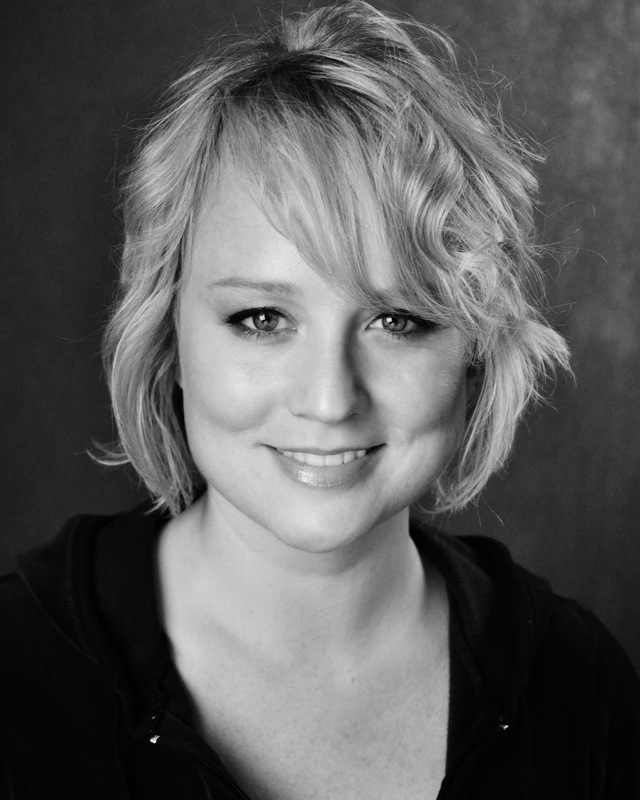 Sunday, Sept. 22, 6 p.m.
Joanna Young is a native of Omaha and a graduate of Westside High School. While attending New York University, she was cast in the first National Tour of Les Misérables and toured the Far East as Eponine and Cosette. Joanna has appeared on Broadway in Grease and The Drowsy Chaperone. She has appeared with the Omaha Symphony and in regional theaters across the country. Last year she starred in the Off-Broadway show Rated P...For Parenthood and can be heard on the upcoming cast album. Jan Schneider Lund is an Adjunct Assistant Professor in the Creighton University Department of Modern Languages and Literatures and an Officier de l'Ordre des Palmes Académiques, The Order of Palmes Académiques is one of France’s oldest orders of Chivalry, (only the Légion d’Honneur is older), instituted by Emperor Napoleon in 1808, and modernized in 1955 by the French Government. The Order is the highest designation in teaching bestowed by the government of France and given to recognize and individual’s distinguished contribution to academia, education and the expansion of French culture. $40 per person per evening includes French dinner, wine and discussion. 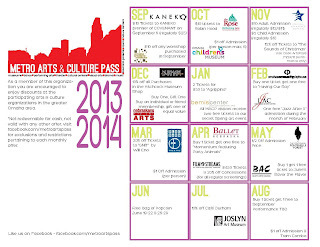 Proceeds from the series will go to fund future productions at the Omaha Community Playhouse. Call the Market Basket for reservations at (402) 397-1100.